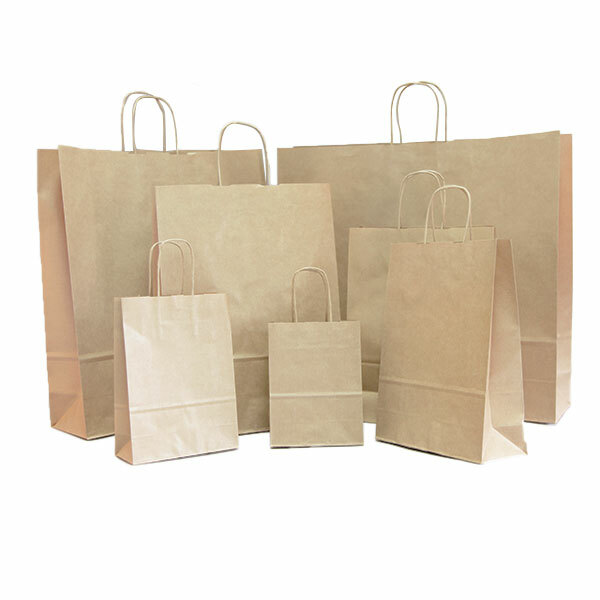 This is one of the most popular and best selling products from our range of Paper Carrier Bags! 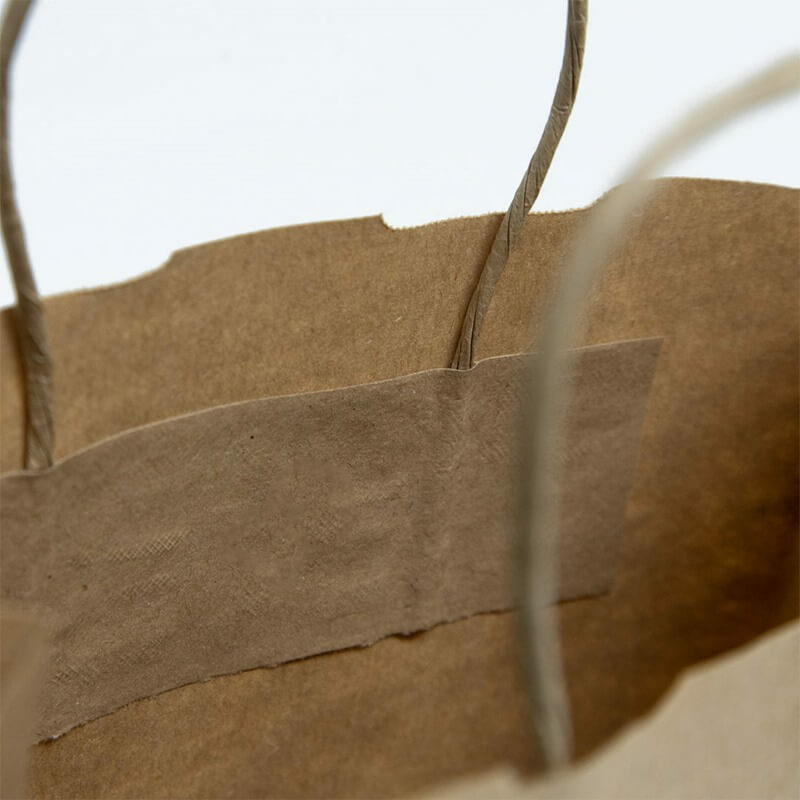 These bags are manufactured in northern Italy and made from a gorgeous Ribbed Brown Kraft Paper. On the smallest 5 sizes the bags are made from 100 GSM paper, whilst the larger two sizes are 110 GSM and 120 GSM respectively. This is much thicker than some of the 80 and 90 GSM bags in the market, and you'll be sure to notice the difference. The Twisted Paper Handles are attached on the inside of the bags with a reinforced patch, which makes them very strong and suitable for holding some heavier items, including books and clothes. 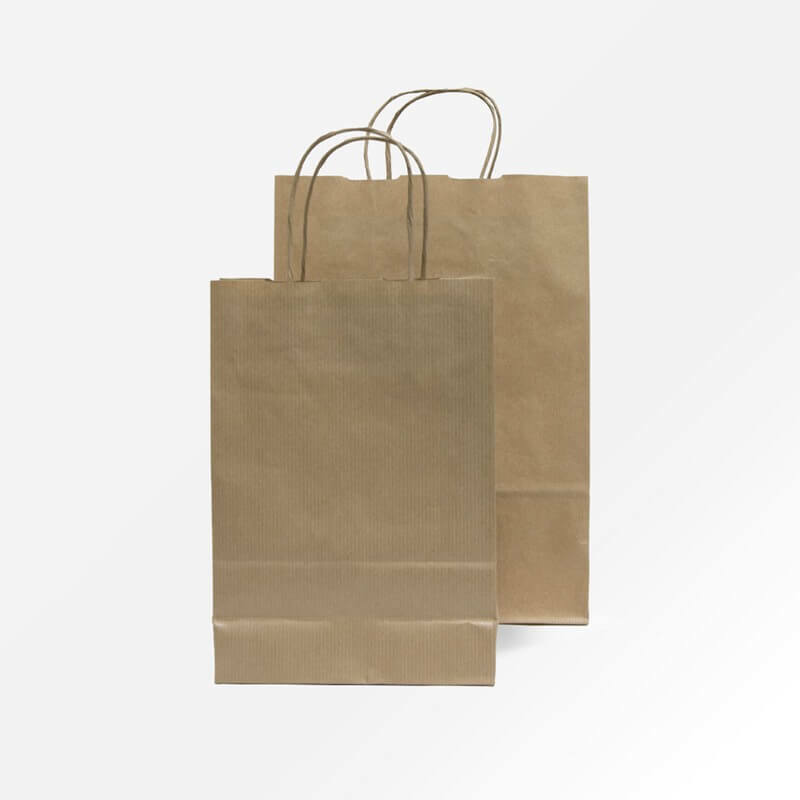 Being a paper bag, they are also exempt from the 5p Plastic Bag Charge in England. For Wales and Scotland these bags may be chargeable depending on your personal circumstances. There bags are also available in a White Ribbed Kraft or Over 16 Stock Colours! If you'd like to see a sample of the bags then we'll happily send you one out. We can also provide fantastic cost effective options for personalising these bags with your logo. Simply give one of the team a call on 020-3002-9960. Made from a strong Ribbed Kraft Paper. Twisted paper handles attached to the inside of the bags. Our stock of Twist Handled Paper Carrier Bags are our most popular range of Paper Bags and we are able to overprint them with your chosen design.